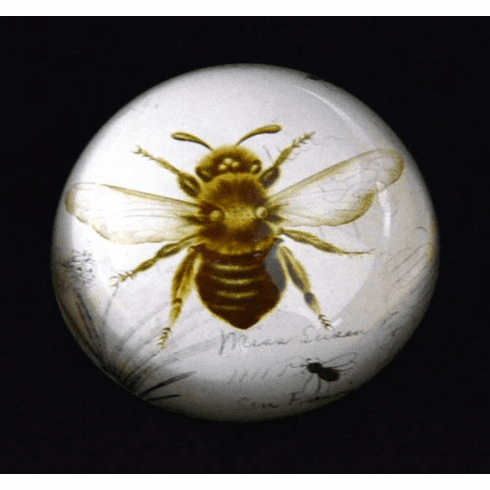 Bee Glass Dome Paperweight - Up close look at a bee, with image encased in a glass dome with enough heft to hold your papers down. Always a reminder that these important pollinators need our help. Gift Boxed. Measures 3" in diameter.